This new textbook offers an accessible introduction to the topic of cybersecurity ethics. The book is split into three parts. 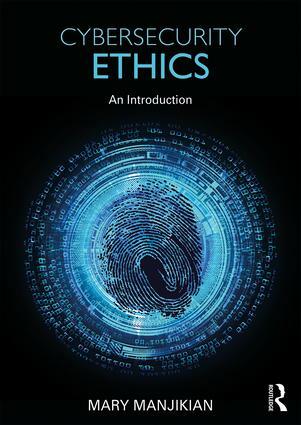 Part I provides an introduction to the field of ethics, philosophy and philosophy of science, three ethical frameworks – virtue ethics, utilitarian ethics and communitarian ethics – and the notion of ethical hacking. Part II applies these frameworks to particular issues within the field of cybersecurity, including privacy rights, intellectual property and piracy, surveillance, and cyberethics in relation to military affairs. The third part concludes by exploring current codes of ethics used in cybersecurity. highlight the connection between values and beliefs and the professional code of ethics. The textbook also includes three different features to aid students: ‘Going Deeper’ provides background information on key individuals and concepts; ‘Critical Issues’ features contemporary case studies; and ‘Applications’ examine specific technologies or practices which raise ethical issues. The book will be of much interest to students of cybersecurity, cyberethics, hacking, surveillance studies, ethics and information science. Mary Manjikian is the Associate Dean and an Associate Professor in the Robertson School of Government, Regent University, Virginia Beach, Virginia, USA. She is the author of three books, including Threat Talk: Comparative Politics of Internet Addiction (2013).